← Why Tim, where have you been? 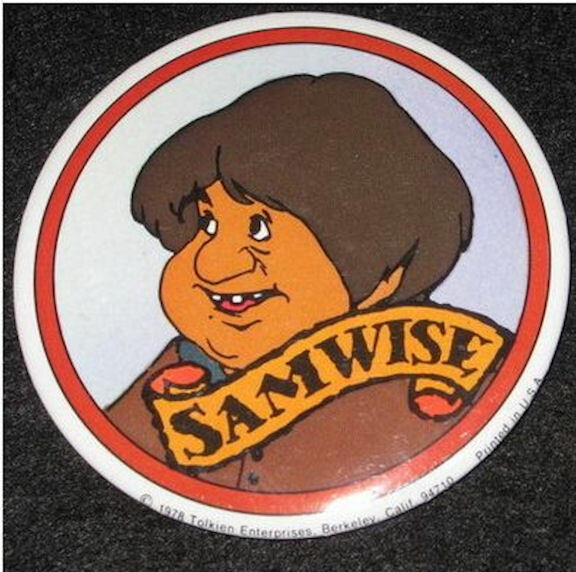 A pin of Sam from an animated version of Lord of the Rings that came out in the 70’s. So over the past two months I have been chewing through the “Lord of the Rings” movies. As I was in the theater, I was struck (as I think many were) by the character of Samwise Gamgee. In speaking about friendship with many men, Frodo and Sam is a brotherhood that has been brought up multiple times. Men that have read my book have remarked that I never mentioned them in A Bigger World Yet, specifically in the Beloved Friend chapter. I guess I’d say, that chapter is devoted to historical friendships, and they’re fictional. Perhaps when the book gets printed again, I’ll add them to the mix. What struck me when watching the trilogy well, was fear and doubt. Is a friendship like Frodo and Sam’s out of the question in the cultural climate we have created in America? Is that kind of sworn brotherhood out of the question in an environment where sexual impulses are the screen in which we view our core needs through? Is such a friendship a foreign language to us now, really? Moreover, Is that kind of fidelity, loyalty and surrender of ones own agenda for another possible? Especially in our “it’s all about me” culture? That level of “Christ-likeness?” I have heard in reaction to the stories men say they want a friend who is like Sam. But are we willing to be, Sam? To surrender our agenda to see that someone else makes it? To give our all to another and carry them perhaps at the cost of not getting what we want? If you have such stories of friendship, I’d sure like to hear them. To whatever degree it is my hope you and I can be a Sam to some Frodo for a moment, for a day, for a week, month, maybe onto a lifetime. Here’s a toast to the Samwise Gamgee’s of the world, God knows we need them. 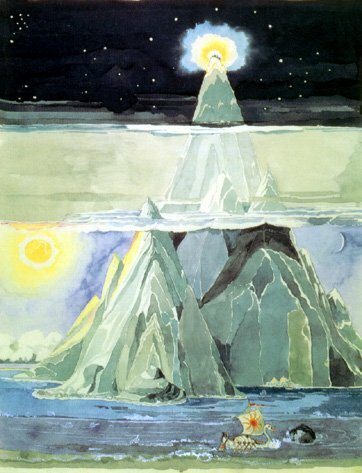 Well, lookie here, Tolkien also did some illustrations of his stories. As an art blog I thought it would be important to put some of them on here. Pretty talented fellow indeed. 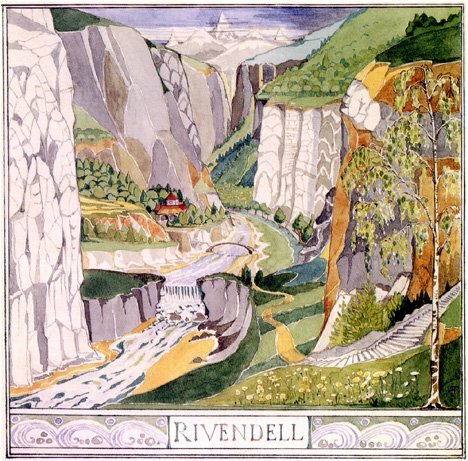 This entry was posted in Culture (as best as we are able), The Book and tagged brotherhood, male friends, male friendship, Samwise Gamgee, Tolkien drawings. Bookmark the permalink. When Sam picks up Frodo and carries him up the mountain I become a puddle of tears. He is a perfect example of Christ-like friendship that we all need….AND want. Love the art!